What we have on offer is a 25 Piece Mixed Gemstone Rune Set. 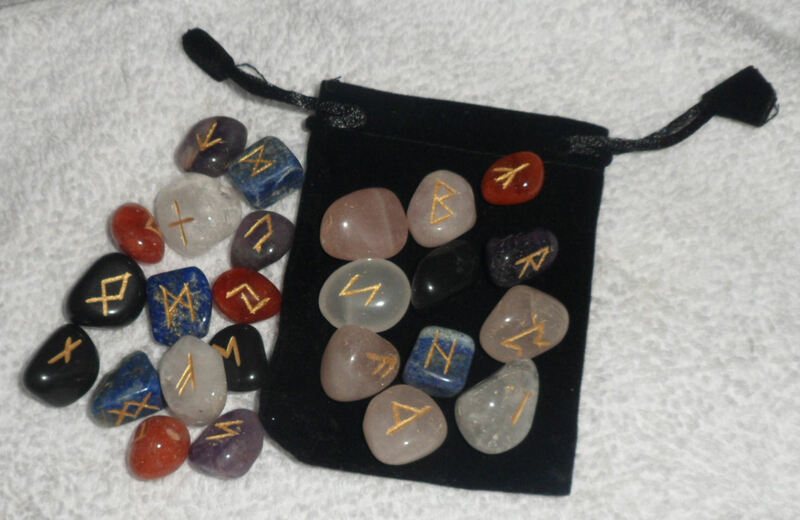 The Futhark Rune set is the most common and ancient of all rune sets. This set is a 25 piece including the blank rune "Wyrd". Pack contains 25 Smoky Quartz Rune stones and a velvet drawstring pouch.